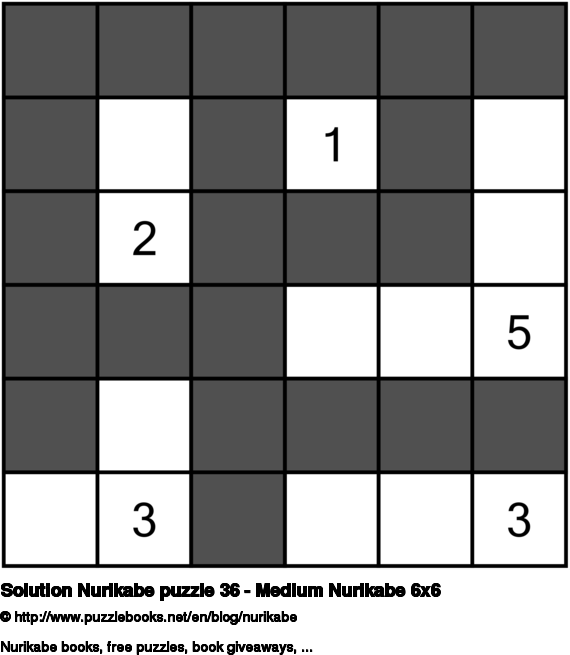 Click here to view the solution for Nurikabe puzzle 36 - Medium Nurikabe 6x6. I hope you managed to solve it and had a lot of fun trying to do so. Kids will love this Nurikabe puzzle. 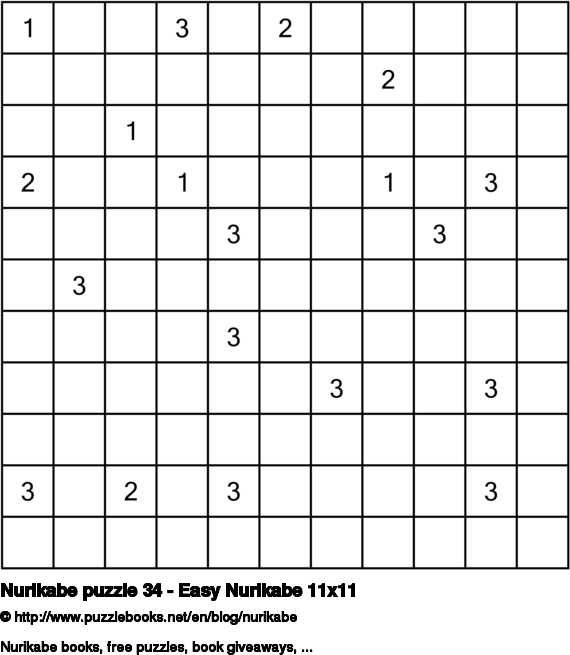 It has a small grid size and it easier to learn Nurikabe puzzle with a smaller puzzle size. 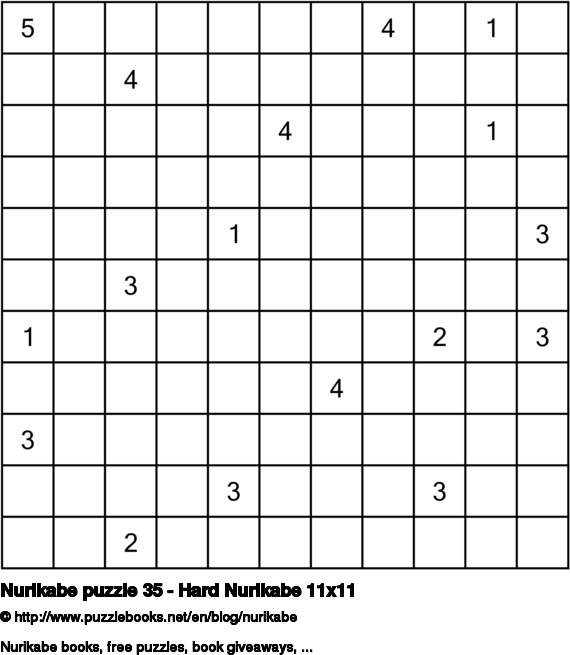 How to play Nurikabe: The goal of Nurikabe is to determine whether each of the cells of the grid is “black” or “white” according to the following rules: * All of the black cells must be connected. * Each numbered cell must be part of a white island of connected white cells. * Each island must have the same number of white cells as the number it contains (including the numbered cell). * Two islands may not be connected horizontally or vertically. * There cannot be any 2 x 2 blocks of black cells. 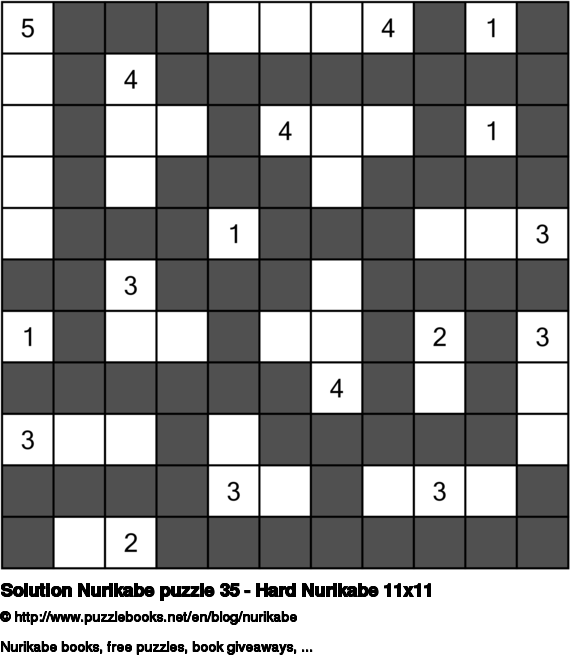 Click here to view the solution for Nurikabe puzzle 35 - Hard Nurikabe 11x11. I hope you managed to solve it and had a lot of fun trying to do so. Solving a Nurikabe puzzle is really fun for the brain. Try it and enjoy! 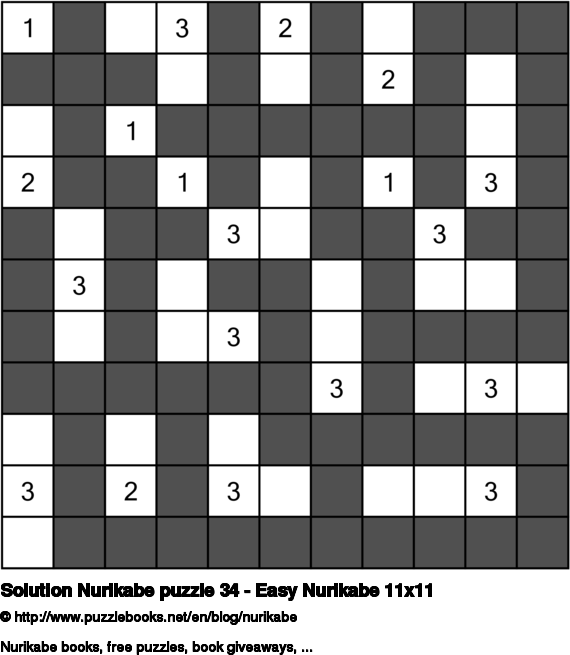 Click here to view the solution for Nurikabe puzzle 34 - Easy Nurikabe 11x11. I hope you managed to solve it and had a lot of fun trying to do so. Is solving Nurikabe puzzles an obsession for you? You will most certainly enjoy today's Nurikabe puzzle. 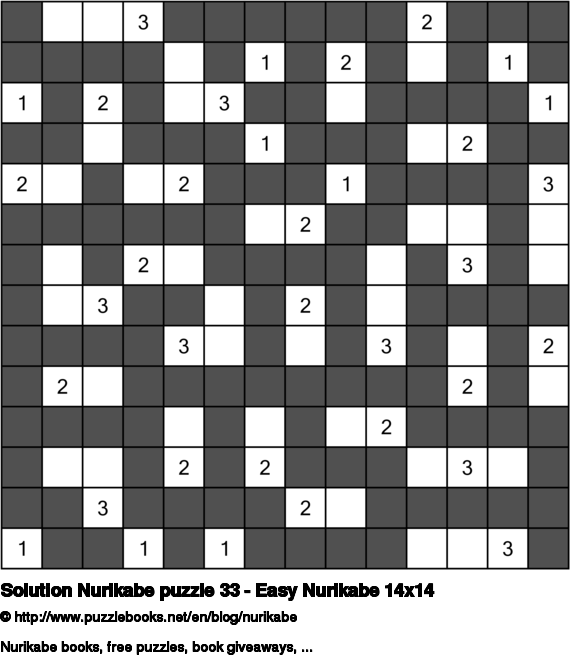 Click here to view the solution for Nurikabe puzzle 33 - Easy Nurikabe 14x14. I hope you managed to solve it and had a lot of fun trying to do so. 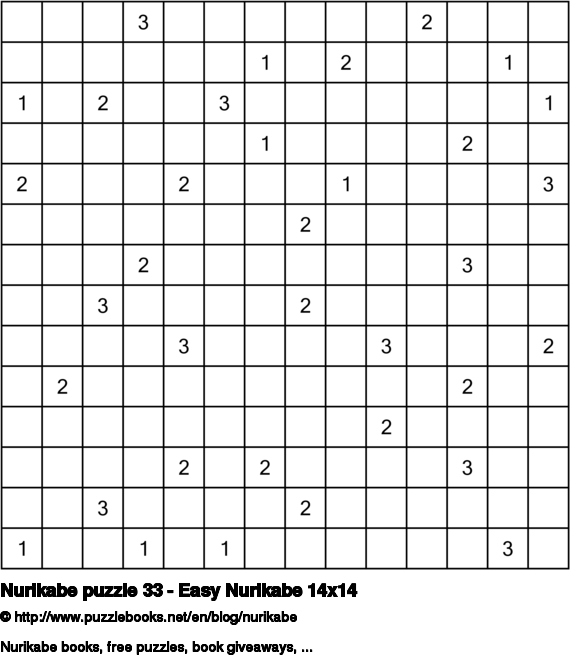 I always find it gratifying when I finally solve a Nurikabe puzzle. 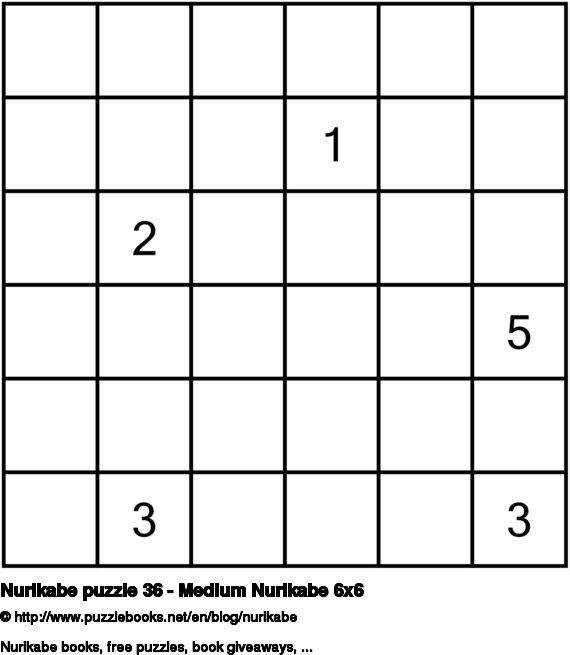 I felt thrilled when I solved this Nurikabe puzzle. 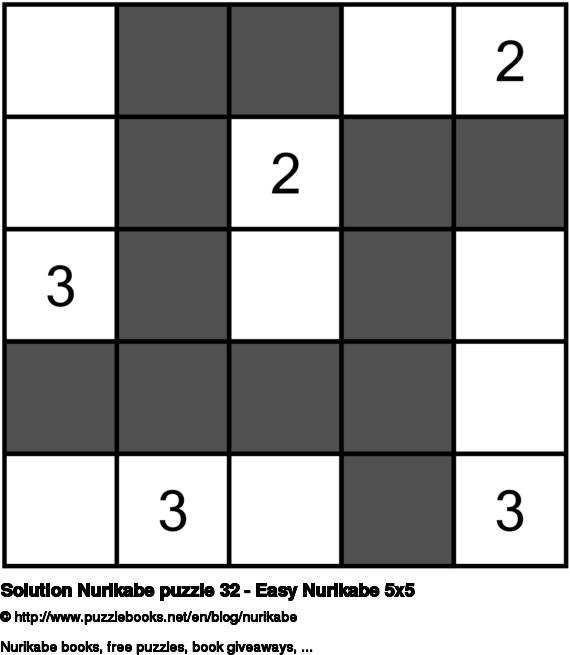 Click here to view the solution for Nurikabe puzzle 32 - Easy Nurikabe 5x5. I hope you managed to solve it and had a lot of fun trying to do so.